Restaurant Manitoba is laid out with a large bar at the front with seating and some tables in the back near a garage door window. You can eat at the bar near the front and at the rear is more bar seating with the view of the kitchen so you can see all the dishes being prepared. The décor has a specific vibe that works; there are some accent pieces like gym lockers and fox furs that mix things up, it definitely has that post-hipster feel to it. The day we were there they even had live music. Initially I felt it was loud but later on they seemed to take it down a notch and I was able to hear my friend speak. Food The menu is split with a good amount of drink options and food options. 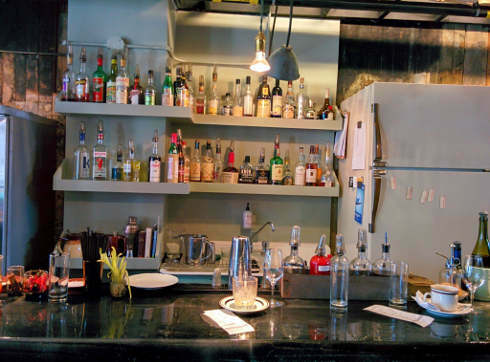 There are some interesting cocktails to choose from as well as various beer choices. Cocktails are $13 each and beer ranges from $4.50 to $9. 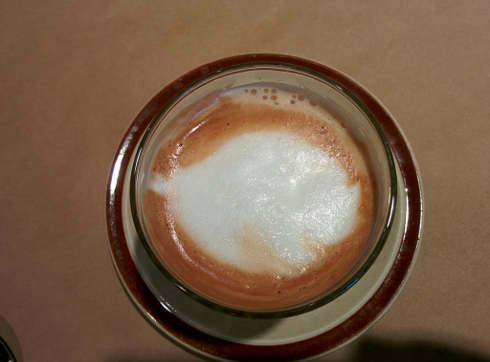 Menu items are on the chalkboard and mains will run you on average $15 with coffee priced at $3.75, and I should note that there is no filter coffee and no refills. Because the menu is inspired by market ingredients you should expect the menu to change which is always enjoyable since the kitchen needs to be creative to utilize these ingredients. This also prevents patrons from getting bored with the same options, something I am a big proponent of. Keep it fresh and keep it evolving. 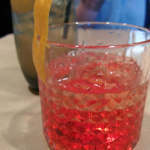 We started with some drinks and had a Cardinal which is a variation of a negroni. 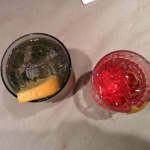 The Campari was quite pronounced and even as someone who likes Campari, it was too intense for me. We also had a French 95 which is variation of the French 75 which has gotten me in trouble many times before. 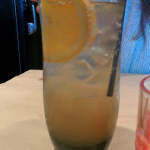 This drink had a more pronounced flavour than the classic French 75 although it went well with brunch. 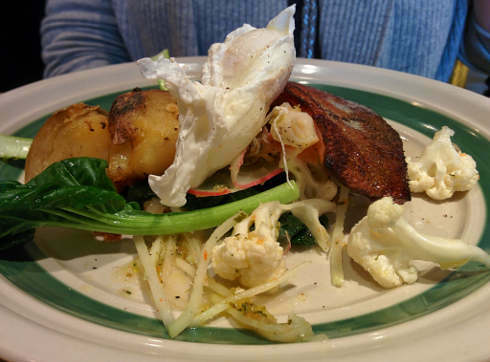 We had the trout and poached eggs dish $15 with gravlax and cauliflower. The trout was to die for, absolutely perfect, every bite a pleasure and the skin perfectly crispy. The portion was just right for most appetites and had a good amount of vegetables so you don’t feel too guilty, in fact, as healthy options go, this is one of my favourites. 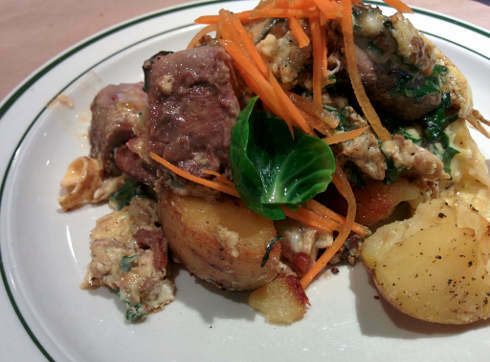 We also had the mish mash $13 which had veal tongue and rabbit liver with scrambled eggs. I love liver and I loved this dish. It was a real treat to get something creative and bold like tongue and liver, few places would be brave enough to put it on the menu as most people would be hesitant to order it but Manitoba did and this is a standout dish. 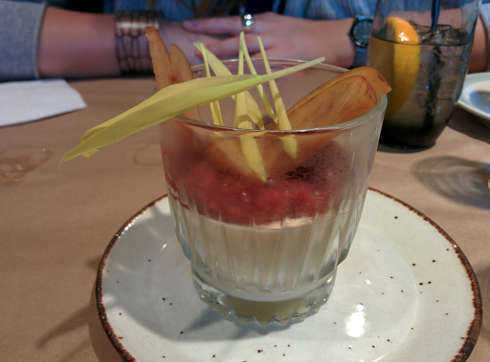 We also had the panna cotta dessert $7 which came with apples. I felt the apples were a little too vinegary although the panna cotta was delicious. Service Things did not start well right off the bat. When we arrived, we had to seat ourselves and it looked as if there was supposed to be a greeter but there wasn’t, nor was there any indication to wait for one or seat ourselves. Regardless, we seated ourselves. We found a nice table although it had not been cleared with 2 half empty glasses on it. We waited for a busboy and waiter to clear it but none came until we flagged one down with moderate difficulty. The busboy was apologetic and quickly cleared the table. We then began waiting for our waiter, and waiting and still waiting; we ended up finding our busboy and asking him if there was one and shortly after our waiter finally showed up (no apology by the waiter was given). We ordered our drinks and coffee, my friend received a large spoon that made it awkward to stir the coffee upon adding sugar and milk, we asked for a smaller spoon and then proceeded to wait and wait even more. I simply made it easier and gave my friend my spoon (we are still waiting for the spoon a week later). Then our waiter came to take our food order. I asked him for his opinion between 2 dishes and he suggested a third option. He must of misheard my question asking for information comparing both of them instead hearing what is their most expensive dish and according to him I should order it. When our meal arrived we had to remind them that we had not received any cutlery or napkins. After we ate our meal we were curious about the dessert. He asked a question and we both replied the same thing in unison and he said “woah, one person at a time”. 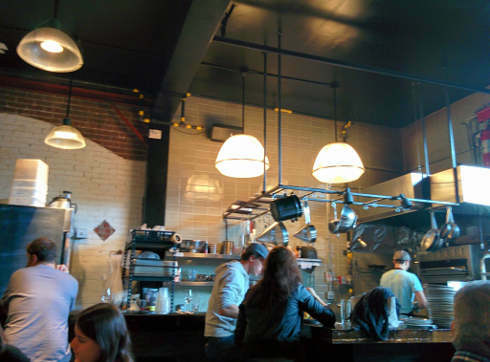 I have been reviewing brunch for 6 years now, I also have had dinner at even more restaurants than I have had brunch and I have friends who work in the restaurant industry. Being rude to your customer is not a good thing and all of them will confirm that. I know people have a bad day, we all do, but please refrain from taking it out on your customers and being rude. I am usually easy going on the service section but this was exceptionally bad service. Vegetarian A little more than half the menu had meat, there was a fish dish and a full vegetarian item, but do keep in mind the menu is 6 items long. You can likely advise the chef and they can possibly modify a dish. I came here for dinner once and they modified a dish based on my friend’s dietary preferences. Wrap up The food is great, it’s tasty, fresh, and creative. The fish dish still makes my mouth water when I think about it. Although the service left a bad taste in my mouth, a service breakdown and rude staff is not something I look forward to again. I know that people can have bad days and my experience at dinner a week prior was incredible with the bartender taking our order, being incredibly helpful, professional and leaving a very favourable impression. This time was different and although I rate based on food and price, I have trouble paying money to be treated like that. If the food wasn’t so incredible I wouldn’t return for a second visit. I want to try Manitoba!! I had the same awful service!!! The concept of the restaurant is amazing. However, It has to be transferred to their staff to value their dishes, which they definitely don’t! I tried asking about the ingredients and the top dishes he would recommend and he told me everything is good on the menu… without going further. He wasn’t able to explain to me the ingredients in depth. And loads of attitude. Even the though the food is good, the service left me so bitter that the positive experience was definitely forgotten.